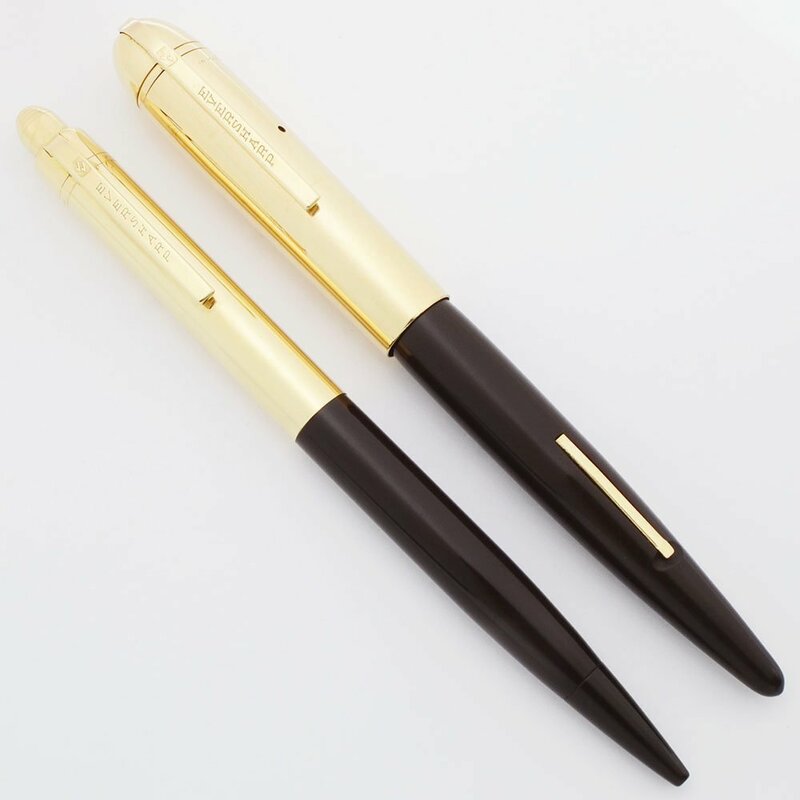 Eversharp Skyline fountain pen and mechanical pencil with army brown barrels and solid 14k gold caps. This is an uncommon set. The fountain pen has an fine 14k nib installed and the pencil takes 1.1mm leads. Both pieces are working well. The set is in excellent condition with no personalization and only minor marks. The pencil is especially pristine. Manufacturer and Year Eversharp, USA -- 1940s. Length The fountain pen measures 5-5/16" and the pencil measures 5-5/16". Filling System The fountain pen has a lever filling system. We replaced the sac and it's working well. The pencil has a clicker mechanism to extend and retract the leads. It takes 1.1mm leads. A few leads can be found in the barrel. Color Army Brown barrels with solid 14k caps. The Skyline army brown is a dark brown. The trim (clip and lever) is gold filled. The pencil has an army brown cone. The solid gold caps are smooth without patterns. 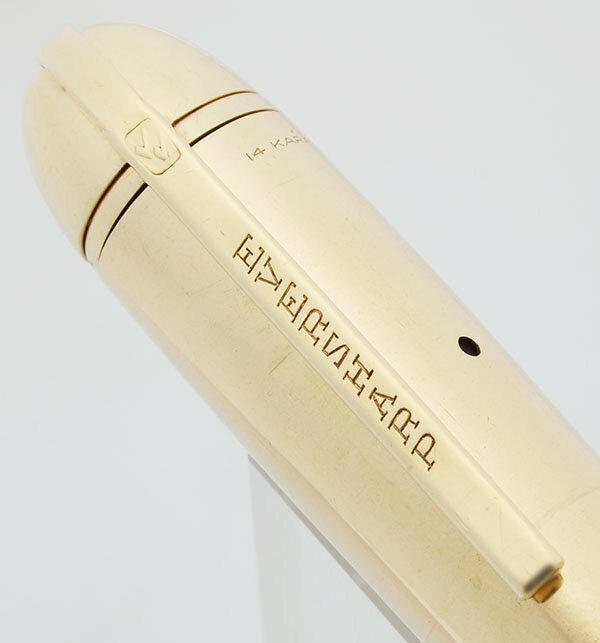 Nib FINE 14k nib. It's got plenty of tipping and feels smooth. It is firm. 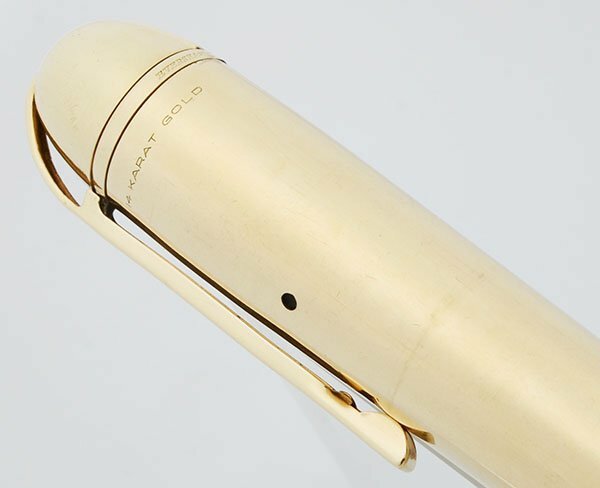 The face of the nib has two lengthwise lines on either side of the breather hole and there are a few small tool marks on the nib which can be seen well in our close-up photos below. These lines do not affect writing. Condition Excellent + condition. The barrels are unscratched and the cap imprints are clear. The pencil cap has no dents and only minor handwear throughout. 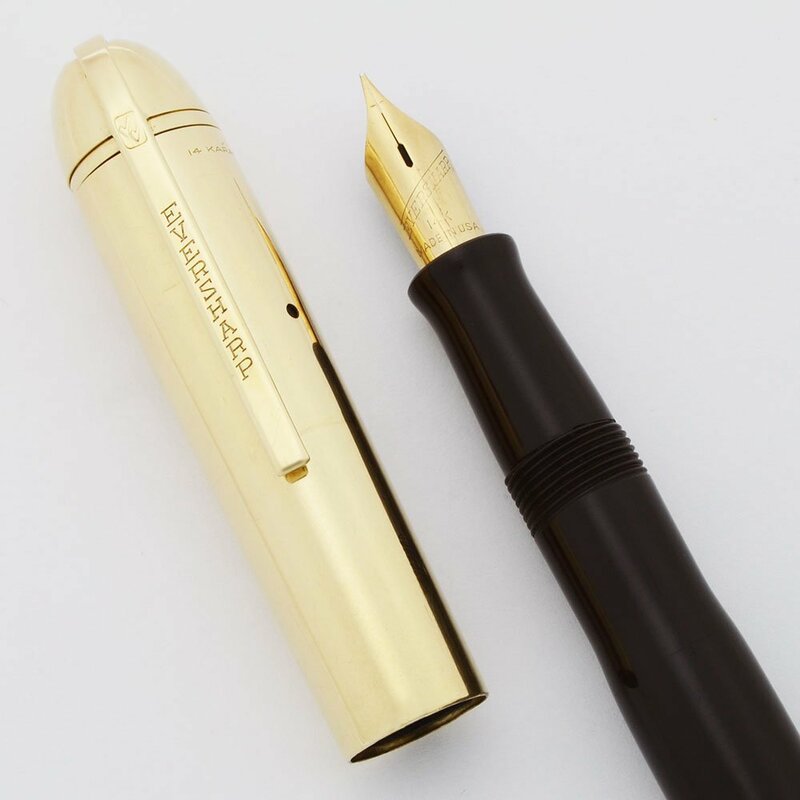 The fountain pen cap has several small marks on the surface, but no serious dents or scratches. We photographed an example of the wear which can be seen in the close-ups below. 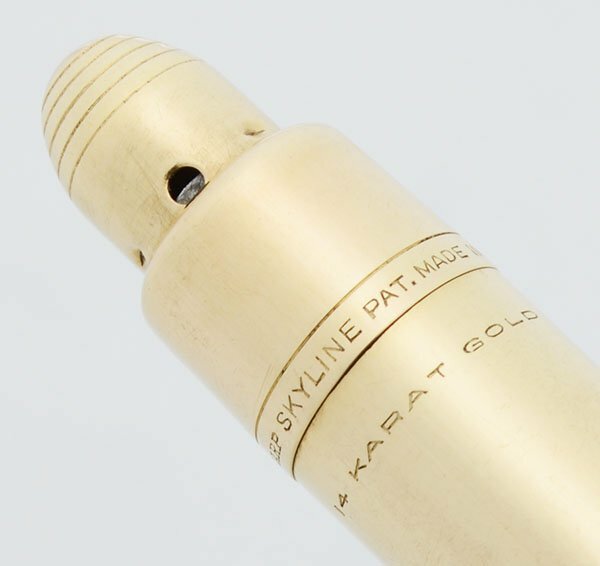 No personalization, which is rather uncommon for these solid gold component pens. The fountain pen is fully restored and both pieces are working well.